Join us in building support and raising funds. Throughout the year, the ND WIN Fund hosts several events to raise funds and build community support so we can provide more assistance to more people. The National Abortion Access Bowl-a-Thon is a nationwide series of local and virtual events that allow community members (like you!) to captain your own fundraising teams as part of a movement. Bowl-a-Thon is how we can fund abortions and build power together! This year's event will be held on April 14 at All Star Bowl in Moorhead. Learn more about the Bowl-A-Thon to create your team or join an existing one! 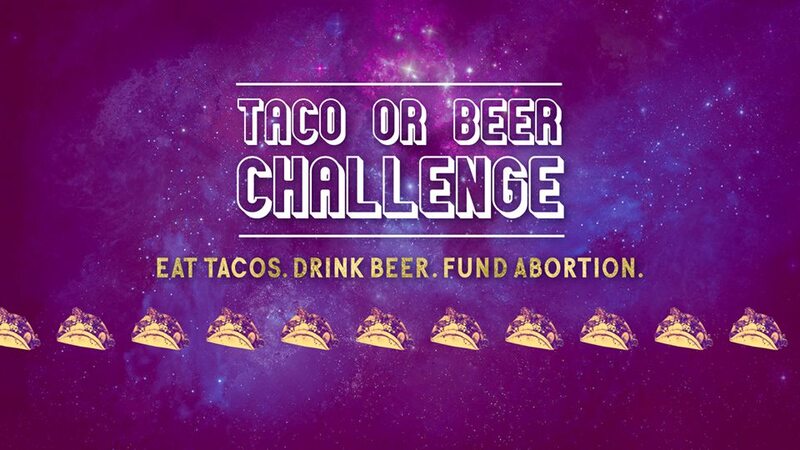 Each year, we join the national Taco or Beer Challenge to help raise funds for The ND WIN Fund and expand abortion access for all. This year's #ToBC18 party was on September 5! A family-friendly event featuring decadent desserts, an auction, and cash bar...because choice is sweet! If you are interested in being a part of this year’s event or want to see photos from last year, send us an email at info@ndwinfund.org. Choice Desserts 2019 was held on January 18. Contact us at info@ndwinfund.org to see photos of this year’s event! Our list is confidential and will only be used to notify you of upcoming events and issues related to the WIN Fund's work. We will never share your email with anyone or send you spam. Thank you for joining our email list! You'll receive an email shortly to confirm. You can unsubscribe at any time by sending us a quick email at info@ndwinfund.org and letting us know you'd like to do so. Interested in applying to be on the ND WIN Fund Board? Download an application here and submit it via email to info@ndwinfund.org or by mail or in person to 512 First Avenue N in Fargo.